A US paperback of Richard Stark's Slayground, published by Avon in 1984 (first printing). Bit of an odd one for me to procure, seeing as I already have an Allison & Busby hardback of this, the fourteenth Parker novel, originally published in 1971. But I saw it going fairly cheap on eBay UK, and just thought, sod it: I don't have any of the Parker books in these Avon editions, and I like the photo cover (no idea who created these covers for Avon), so why the hell not? 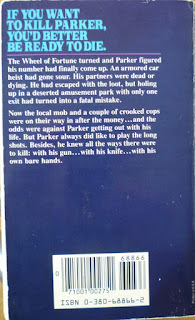 There are only five other Richard Stark/Parker novels listed on page two of this edition as having been published by Avon – the first five, in fact – and I know from Trent's list at Violent World of Parker that Avon did publish other books in the series. Which means that, once again, like Allison & Busby and doubtless others besides, a publisher issued the Parker novels out of sequence. 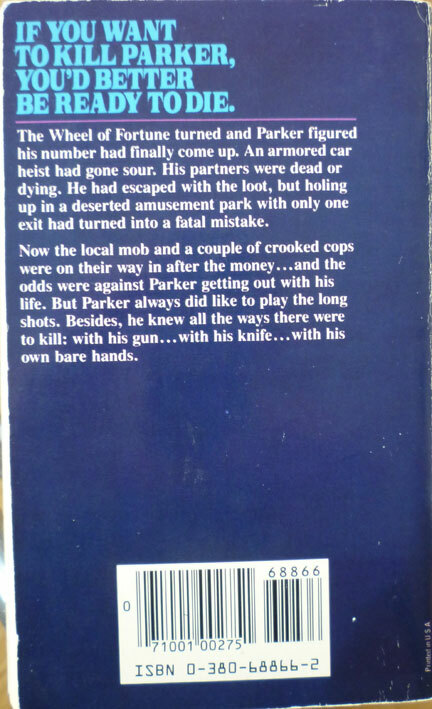 Publishers sure didn't make it easy for Parker fans to read the books in the correct order over the years. Thank the lord for the internet. I am not a fan of the Avon covers. The guy on the cover of Slayground looks like George Bush. 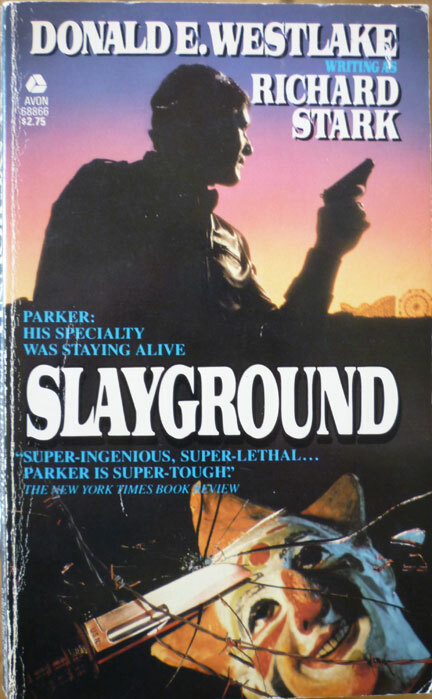 I will get the University of Chicago Press version of Slayground shortly and read that instead of the Avon. If my initial exposure to Stark came via Avon paperbacks, I would have passed. If it had been those cool Coronets, I would have instantly been a fan. At some point, you will need to establish a hall of fame - the best cover of each Stark novel. Nice idea. I was thinking more along the lines of what I did with that James Bond post a while back: kind of 'searching for the perfect Parker'.